"This lovely vegan cream uses exotic coconut cream for a delightful flavor that is suitable for decorating a vast array of cakes, cupcakes or desserts." Place a mixing bowl in the freezer for 5 minutes. Remove from the freezer. Combine coconut cream and vanilla extract in the chilled bowl; beat with an electric mixer until smooth and creamy. Gradually add the sugar while beating until thick and creamy, about 5 minutes. 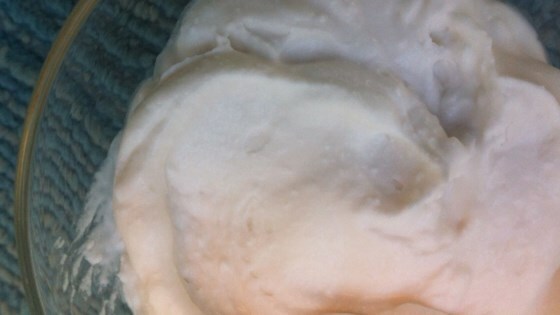 Use vegan whipped cream right away or store in a airtight container in the fridge for up to 1 week.